Spectre’s gold Iridite-plated finish Oil Dipsticks are available for a number of different vehicles and come in a variety of sizes, from 17 inch to 20 inches. 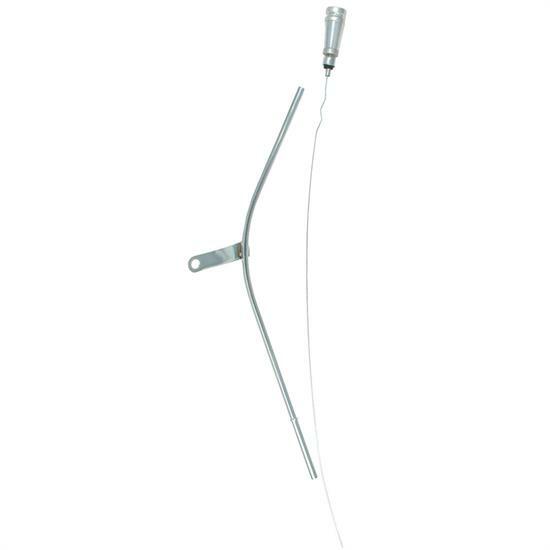 This replacement oil dipstick has a base made to OEM specifications and markings match OEMfor true accuracy, ensuring optimum fit and function. It also has a billet handle.